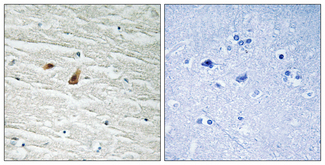 CEBPE antibody LS-C198707 is an unconjugated rabbit polyclonal antibody to human CEBPE (C / EBP Epsilon). 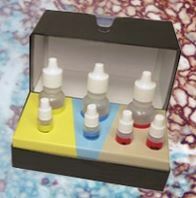 Validated for IF, IHC, Peptide-ELISA and WB. 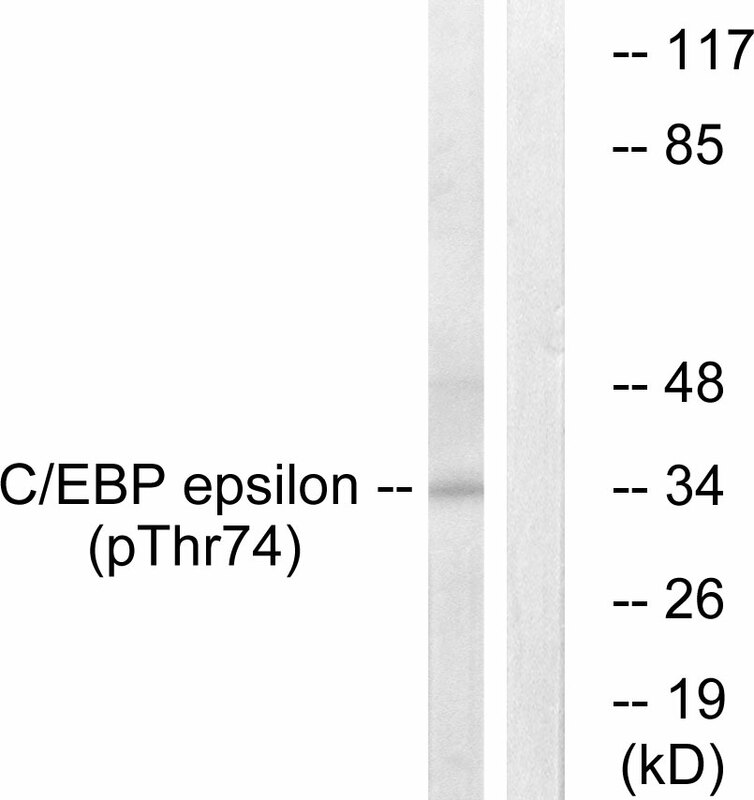 C/EBP-epsilon (Phospho-Thr74) Antibody detects endogenous levels of C/EBP-epsilon only when phosphorylated at threonine74. 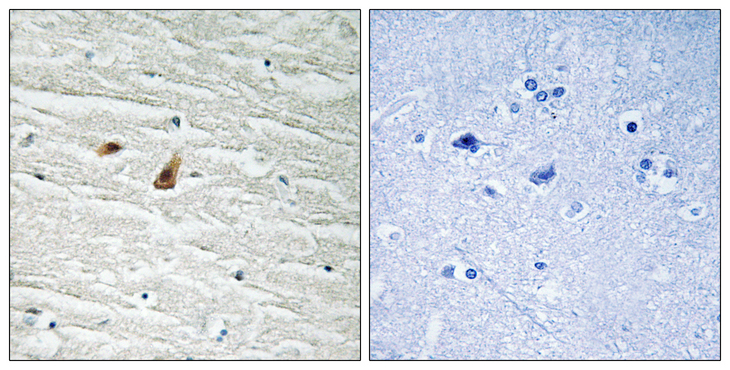 Immunohistochemistry analysis of paraffin-embedded human brain, using C/EBP-epsilon (Phospho-Thr74) Antibody. The picture on the right is blocked with the phospho peptide. 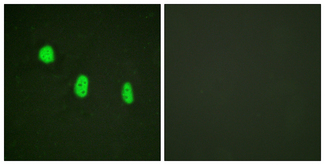 Immunofluorescence analysis of HeLa cells, using C/EBP-epsilon (Phospho-Thr74) Antibody. The picture on the right is blocked with the phospho peptide. 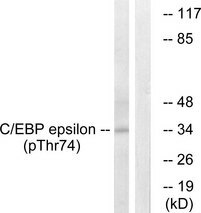 Western blot analysis of lysates from HUVEC cells treated with UV 15', using C/EBP-epsilon (Phospho-Thr74) Antibody. The lane on the right is blocked with the phospho peptide.